If you’ve ever used Lightroom to convert photos to black and white you’ll know that it’s very good at it. But there are still some aspects of working in black and white where Lightroom isn’t as sophisticated as purpose built black and white plugins. The only problem is that there are so many plugins to chose from that it can be difficult to know which one to buy. This guide will help you decide which black and white plugin for Lightroom is the one for you. Why buy a black and white plugin for Lightroom? A common theme with black and white plugins is that they contain more ways to emphasize texture than Lightroom. This is important with black and white as texture is an important part of the composition. You can use Lightroom’s Clarity slider to emphasize texture, but it’s a blunt instrument compared to the options available in these plugins. Another feature of most of these plugins is that they come with an extensive set of presets that you can use as a starting point for your black and white conversion. Just browsing through the presets and seeing what you can do to your photos will give you plenty of inspiration. Some presets imitate old printing processes such as cyanotypes and wet plate photography. Others emulate black and white films, some of which are no longer available. Others let you add borders. These are all options that Lightroom doesn’t have. 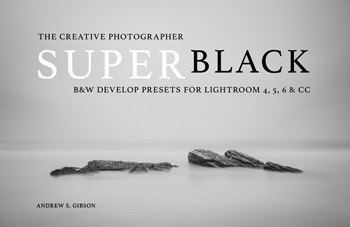 There are three types of black and white plugin available for Lightroom. The first is purpose built plugins such as Silver Efex Pro 2 and Topaz B&W Effects that are purposefully designed for black and white photography only. The second is plugins that work with color photos as well, but happen to have some interesting features and tools for black and white photographers to to work with. Plugins such as Alien Skin’s Exposure and DxO’s FilmPack fit into this category. Finally, there are plugins like On1 Photo Raw 2019 and Luminar 2018 that contain tools for working in black and white that were present in earlier versions of the software, but at the same time have de-emphasized the role of black and white conversions in their applications. But both plugins are still worth a look as they contain a lot of useful tools. Personally, I like the idea of working with plugins dedicated to black and white photography, as it means you don’t get distracted by the option to process the photo in color. But on the other hand, plugins that can also be used with color photos have a wider range of uses, an advantage that may appeal to you. Here’s a challenge for you. After you’ve read this article, pick a plugin that sounds interesting and download the trial version. Experiment with the tools and features that Lightroom doesn’t have, to see the creative options that the plugin provides for your black and white photography. Try this exercise: Re-process some older photos that you’ve already converted to black and white in Lightroom, to see what alternative interpretations you can come up with using the additional tools in your chosen plugin. It’s the best way to open your eyes to the creative possibilities that the plugin gives you. Let’s start by looking at Lightroom plugins that are purpose built for black and white photography only. Silver Efex Pro 2 is part of the Nik Collection of seven plugins, and has an interesting history. Originally created by a company called Nik Software, the Nik Collection was bought by Google in 2012. Google decided not to develop it any further and eventually made the plugin suite free. Then, in 2017, DxO Software acquired the plugin suite. 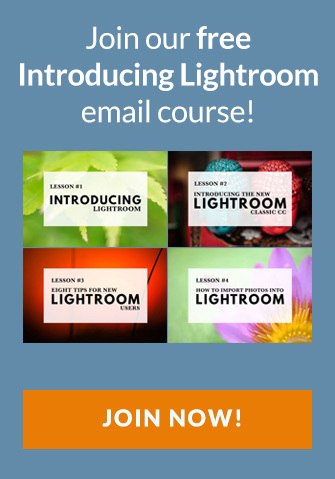 So far there has been no major updates to the software in terms of new features, but a lot of work has gone into updating the plugins to work seamlessly with the latest versions of Lightroom and Photoshop. You can buy the updated Nik Collection by DxO (or download a trial) here. The older Nik Collection 2012 is also available as a free download, although it’s not supported and not guaranteed to work with the latest versions of Lightroom and Photoshop. Details here. Who is Silver Efex Pro 2 for? Silver Efex Pro 2 is for the professional, or advanced hobbyist photographer, who wants to take black and white processing to the ultimate level. If you are serious about black and white photography, you will love this plugin. This screenshot shows the Silver Efex Pro 2 interface. 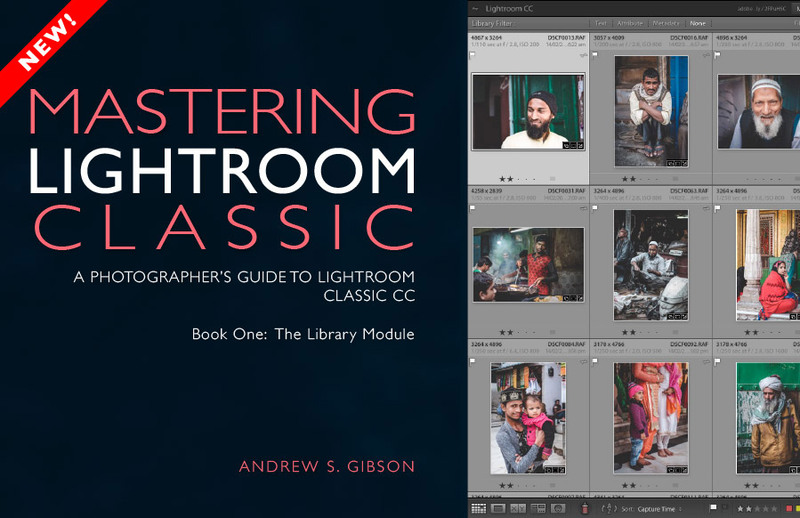 • It has more options than Lightroom. There are more ways of adjusting tonal values, toning images, and adding borders. The Structure, Fine Structure, Dynamic Brightness and Soft Contrast sliders in Silver Efex Pro 2 provide a lot of ways to enhance textures in your photos. • It has a good workflow. The History panel in Silver Efex Pro 2 makes it easy to see where you’ve been and where you are going with your black and white conversion. Here’s an example of the before and after view. • It comes with a number of good presets that help you obtain good black and white conversions right away. • It mimics black and white film grain. If you are interested in creating images that look like they were taken with film, Silver Efex Pro 2 lets you emulate the grain structure of 18 commonly used black and white films. • It has the standard Before and After view. It also has a Split View that I rather like. You can move the red dividing line to see more of one version or the other (see below). You can also zoom-in to view the differences in fine detail. B&W Effects 2 is a Lightroom plugin made by Topaz Labs. The main strength of this plugin is its strong collection of presets, many of which imitate old processes. There are over 200 to choose from, and most of them have an interesting look which you don’t get from the presets in the other plugins mentioned here. I made this photo using the Chocolate Dynamic preset. Who is B&W Effects 2 for? B&W Effects 2 is for photographers who want to take advantage of its extensive preset range as a basis for creative black and white conversions. The Snapshots feature gives you a history function that most of the other plug-ins lack, albeit one that you have to activate yourself by taking Snapshots at important points in the processing stage. B&W Effects 2 is also good at increasing detail in mid-tone areas and bringing out texture, an important part of a good black and white conversion. You can buy Topaz B&W Effects here. • Lots of presets for emulating old printing processes. Have you ever wanted to try out cyanotype, albumen, van dyke brown, opalotype or platinum printing? The cost and impracticality associated with these processes puts them out of reach of all but dedicated enthusiasts. But B&W Effects 2 has all these and more. • It uses Adaptive Exposure technology to add mid-tone contrast in a way that can’t be replicated in Lightroom. It works by analyzing the image, breaking it into regions and applying the adjustment to each region individually. The best way to appreciate what this tool can do is to try it out for yourself. • The Detail and Detail Boost sliders bring out details and texture, completing the work done by the Adaptive Exposure sliders. You’ll be amazed by how much detail and texture you can bring out with these sliders. This screenshot shows the interface of B&W Effects 2. Now let’s look at plugins you can you for processing both color and black and white photos. Most of the plugins fall into this category. Who is DxO FilmPack 5 for? If you are a famous photographer who started shooting a major project with black and white film, then switched to digital for practical reasons, you might want to use a program like DxO FilmPack to achieve a consistent look across the body of work. Sebastião Salgado did exactly that for his Genesis project. DxO FilmPack is for photographers who want to process their digital images so that they look as if they were taken on film. But it goes further than that, and offers a variety of creative effects that you will find useful in creating emotive monochrome images. You can buy DxO FilmPack 5 here. This is the DxO FilmPack interface. 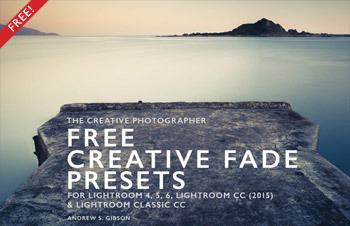 • Lots of film emulation presets, based on an analysis of the films themselves. • Features shared by most of the plugins listed here – the ability to add borders and textures, toning, light leaks effects and creative blur. • The creative effects help you emulate the look of vintage black and white photos taken on glass plates or with antique processes. Exposure by Alien Skin Software is a plugin designed to give your digital photos an analog look. 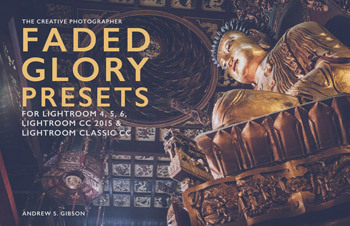 It comes with hundreds of black and white and color presets that imitate the look of film and antique processes. Alien Skin Software is not merely imitating though – a lot of research has gone into replicating the grain structures of all the film types featured in its software. Where the film wasn’t available, it used photo archives. Just like Silver Efex Pro 2, the presets are a starting point, and tools are provided to make adjustments, including an Intensity slider that lets you fade the effects created by the plug-in. You can create and save your own presets for future use. You can buy Exposure X4 here. Who is Exposure X4 for? Exposure is for photographers who want to mix the look of analog photography, with the speed and convenience of digital. If you yearn to make your photos look like they were shot with film rather than a digital camera, then this is a good plug-in to use. Exposure is used by a lot of photographers to create effects that you can’t create in Lightroom, or would take a long time in Photoshop. While it seems mainly pitched at portrait, fashion and wedding photographers, you can apply the filters to virtually any type of photo. It’s a lot of fun to use. • It lets you emulate the look of black and white film. There are over 20 film presets (plus variations) that let you apply an analog look to your digital photos. 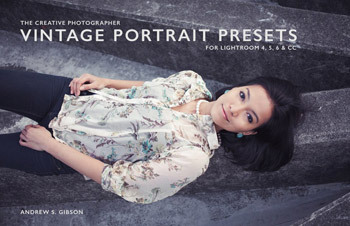 • Exposure has lots of vintage process presets you can use as a starting point to add interest to your photos. Here’s one of my favorites, the Wet Plate preset. • Exposure is for color as well as black and white. While this isn’t a concern if you are only interested in the plug-in for black and white conversions, there are some beautiful color presets and film emulations to use. • It lets you add creative borders, light leak effects and scratches to your photos. • Exposure lets you add sophisticated lens blur effects to your images, emulating the look created by using specialist lenses such as tilt-shifts and Lensbaby optics (see bel0w). • It has an easy to use batch processing tool that makes processing multiple images very quick and easy. • Exposure X4 has layers. I nearly didn’t include On1 Photo Raw because the black and white tools are buried so deeply in the interface. Earlier iterations of On1 Photo Raw were known as the Perfect Photo Suite, which had six modules including one dedicated to black and white called Perfect Black and White. You could even buy Perfect Black and White by itself as a dedicated black and white plugin. Now, in On1 Photo Raw, there’s no black and white module and the black and white tools have been redistributed into the Effects module. • You can combine the black and white conversion tools with the Portrait tools or the Masking Brush to create some interesting and powerful effects. • It has layers, which you can also use to add interesting effects such as textures. This is what the On1 Photo Raw 2019 interface looks like. Who is On1 Photo Raw 2019 for? This software is ideal for the photographer who wants to experiment with black and white photography and take advantage of the other tools that come with the suite. You will only appreciate the power and potential of this software by using it and experimenting with all the tools. But please keep in mind that if your main interest is black and white photography you’ll have to dig deeply to find the appropriate tools. You can buy On1 Photo Raw 2019 here. You may remember a few years ago Skylum (then known as MacPhun) released an excellent black and white plugin called Tonality Pro. Tonality Pro was an ambitious attempt to unseat Silver Efex Pro 2 as the king of black and white plugins. It may have succeeded – except for the fact that Skylum has abandoned many of its older programs in order to concentrate on Aurora HDR and Luminar. The good news is that many of Tonality Pro’s tools for black and white conversions have made their way into Luminar. But just like On1 Photo Raw 2019, you’ll have to dig deeply to find them. As you can customize the Luminar workspace to suit your own workflow, it’s feasible to set Luminar up to work in black and white (it also comes with a built-in workspace for black and white photography). You can even download a free bundle that includes the presets from Tonality Pro, textures and a dedicated black and white workspace from the Skylum website. The details are here. This is the Luminar interface. Who is Luminar 3 for? Luminar 3 will appeal to photographers who are looking for a powerful Photoshop replacement, or for an alternative to Lightroom. • Luminar’s preset system is powerful and has the unique feature of letting you adjust a preset’s opacity. • It has lots of built-in effects that other plugins don’t have that you may find useful, such as the Orton Effect. • It has good tools for bring out textures, and for applying creative effects like borders. You can buy Luminar 3 here. There’s no doubt that black and white photographers have never had it so good in terms of both camera equipment, lens choice and software. 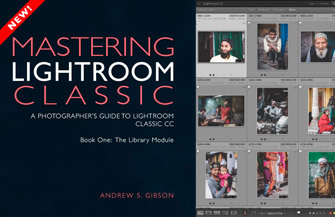 Lightroom by itself is an excellent choice for converting photos to black and white, and staying within Lightroom gives you advantages in terms of workflow and hard drive space management. But break free of Lightroom and start using black and white plugs and a whole new world opens to you. All of the plugins listed here have features that will appeal to black and white photographers. The best advice I can give you is to download the trial versions, experiment with the creative tools, check out the dedicated tutorials and videos, and decide for yourself which of these plugins, if any, would be useful to you. If you only wanted to buy one plugin, and I had to make the choice for you, I would recommend Silver Efex Pro 2, which still retains its crown as king of black and white plugins. Topaz B&W Effects 2 runs it a close second, especially if you’re interested in emulating antique black and white processes. Both DxO FilmPack and Alien Skin’s Exposure X4 have lots of interesting creative tools, with the added bonus (or distraction, if you see it that way) of working in color as well. On1 Photo Raw 2019 and Luminar 2018 also have lots of interesting tools for working in black and white, but they are buried deeply in the software and it’s not a major part of what each one offers. I’m sure many photographers would be happy to buy two or three of these plugins, using them as appropriate for specific black and white photos. Here are the photos you’ve seen in the screenshots in this article. Thanks Brian, I’ll check out the pyro LUT, it sounds interesting.